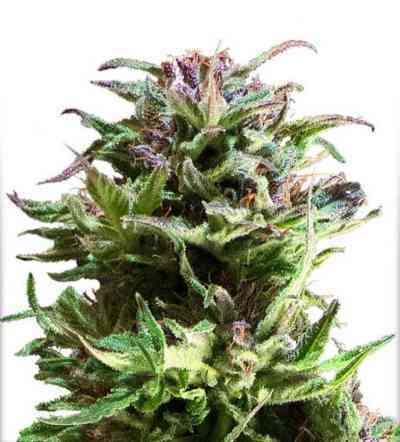 Forest Dream marihuana seeds are suited for outdoor, greenhouse and indoor growing. This sativa-dominant variety is very easy to grow and therefore suited for less experienced growers. She grows fast, develops lots of side branches and generates heavy yields. She also flowers fast with heavy THC-production, at the end of the flower period the buds are covered in THC crystals. The average plant size is 1.5 to 2 meters but outdoor some grow up to 3-4 meters tall. The sweet taste is extremely smooth and enjoyable. It's uncommon that all members of the DP smokers test team love the quality, the taste, the high and therefore Forest Dream is rated as top quality cannabis. The Sativa high is uplifting, quite subtle and with a clear mind so that you're able to stay active. Forest Dream produces dense buds and the average flower period is only 8 weeks. Grown outdoors variety Forest Dream can become sensitive to mold at the end of the flower period so it's advised to frequently check your plants during autumn. If you're looking for an easy to grow outdoor sativa with great yields and energetic high than Forest Dream is the one for you!